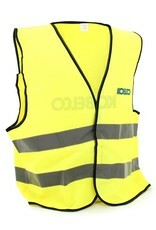 Yellow safety vest with reflecting horizontal stripes. 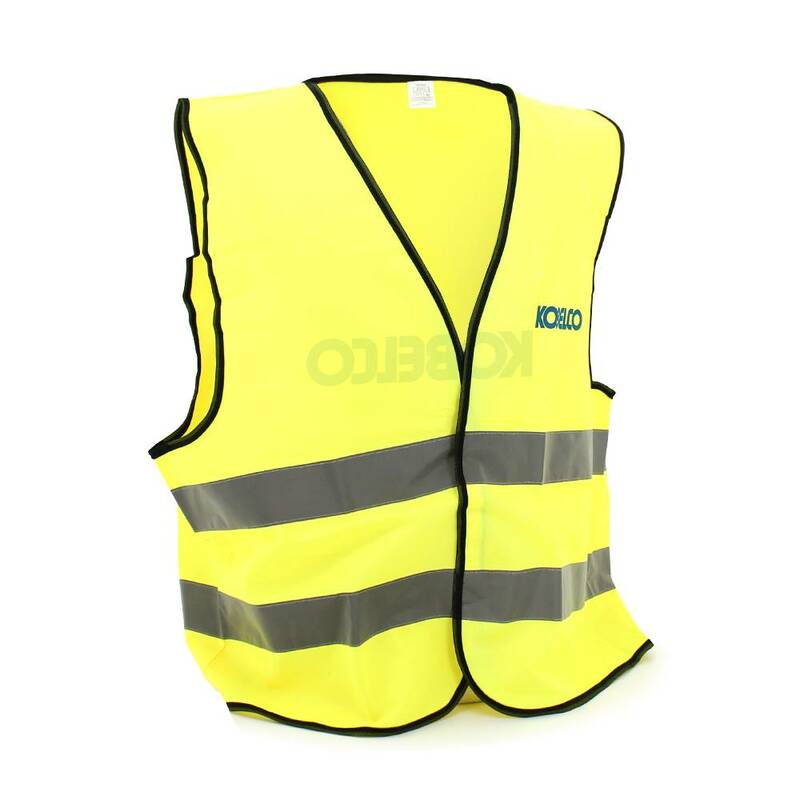 Kobelco logo printed on left chest and on the back. One size.